GMC MPTS FTP Cases – Does DDS represent doctors at FTP hearings? 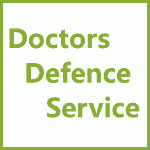 | Doctors Defence Service – UK. General Medical Council (GMC) / MPTS fitness to practise (FTP) hearings are held in Manchester and London. Doctors Defence Service lawyers represent doctors at FTP hearings in both locations. Doctors Defence Service lawyers are highly trained barristers who have considerable experience of defending doctors of all grades before the GMC/MPTS FTP panels. DDS lawyers have represented doctors who have faced a number of different charges, including: dishonesty and a lack of probity; lack of competence; inappropriate relationships and secual relationships with patients; plagiarism; drug misuse; clinical and academic fraud; CV deception; surgical and procedural errors and oversights; under-reporting and over-reporting of disease; driving offences; domestic violence; to name just a few areas. DDS lawyers will always aim to meet with a doctor as early as is possible, prior to a fitness to practise hearing, so as to advise the doctor on the steps they might consider taking in order to demonstrate remediation and insight. A doctor might need to undertake considerable re-training or instruct an expert, and so the earlier that a doctor instructs a lawyer at DDS the more time there will be to take any necessary steps to prove fitness to practise as a doctor. If a doctor has a solicitor, we are happy to work with their solicitor to advance the doctor’s defence case. We work well with solicitors and can give guidance to solicitors who work with doctors.